When it comes to helping our children learn and develop academically, socially, and emotionally, we want them to feel confident about who they are. At Summit Center, we use a strengths-based approach for assessments, counseling, and treatment versus a more traditional pathologizing model. If we look at the medical model of disease as a metaphor we can see that it is grounded in finding pathology, and getting rid of that pathogen to regain physical or mental health. This model is also used when learning problems are diagnosed. Students experiencing problems in school are referred to Study Success Teams (SSTs) and private practitioners to determine if they have a “learning disability” or “learning disorder.” In essence, the guiding question is often “What is wrong with this child?” But does this approach work and is it helpful? A typical example of a learning issue is when a child has challenges with writing. This can be due to problems maneuvering the pencil, spelling, punctuation, and syntax, or delays getting their ideas on to paper. The traditional approach would be to have the child practice writing, neatly, and to get tutoring and occupational therapy. While I believe this approach can be helpful and needed to some degree, it is best when complimented by using a child’s strength profile and incorporating accommodation. Many of these kids find significant improvement in their writing ability and expression when we teach and allow keyboarding and voice to text software instead of paper to pencil. A specialist in the field once told me, “Instead of teaching these kids to be writers, teach them to be authors.” In fact, I have found many challenged writers to be masterful at creating Powerpoint presentations, giving oral reports, and other project-based assignments. Focusing on the strengths that many have as storytellers allows them to show what they know and produce quality work without spotlighting their deficiencies in potentially harmful ways. A strengths-based approach can also even be used in the home. Ask yourself what your child is good at and lead with this answer rather than what they need to work on and improve on. We had a recent example in our household related to chores. We have a chore chart with three main chores that we rotate with our three children. The goal is to expose the kids to different jobs and responsibilities to contribute to the household. Over time, it became apparent that each child preferred one chore to another and was more motivated to do it (without complaining) when they had choice. One liked the animals, the other the dishes, and the other the trash. We decided to go with their preference, which was driven by their interest in the task, rather than focus on what they “should” do. As a result, our house runs more efficiently (and with far less complaining). They still have responsibility and they own their jobs. 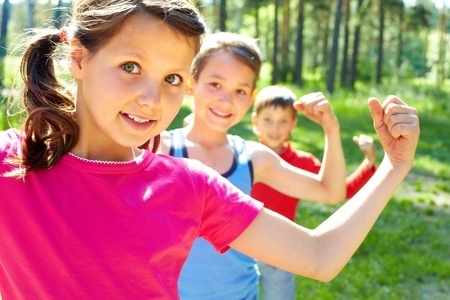 Leading with strengths is important for all children, and particularly for twice-exceptional (2e) students—those who are gifted and have learning, processing, emotional, or developmental challenges like ADHD, Asperger’s or Autistic Spectrum, dyslexia, dysgraphia, and sensory processing issues—to name a few. In these cases, a child has advanced thinking and reasoning and is often challenged in areas that prevent successful academic performance and/or negotiating the daily responsibilities of being a student and/or the social world. 2e kids often underperform and therefore start to feel “dumb” or “bad” due to feedback they get from adults and children, or by mere comparison to others. The key is to identify a student’s strength, such as knowledge of science, ability to lead, or speaking ability and emphasize these areas so the student gets positive feedback, is seen as competent, and thus, feels confident and valued, rather than just focusing on the frustration of what is not working well. A client of mine once said, “I finally figured out public school. They find out what you aren’t good at and make you do it over and over again.” Her experience is all too common but if we learn to focus on what’s right with a person rather than what’s wrong we will make leaps forward in creating thriving people and flexible environments in which everyone can bring their talents to bear and positively contribute to their classroom, family, future employer, and community. This article first appeared on PsychologyToday.com.